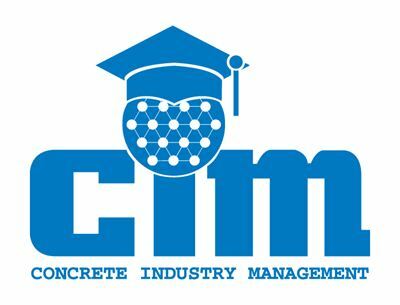 The National Steering Committee (NSC) for the Concrete Industry Management (CIM) program – a business intensive program that awards students with a four-year Bachelor of Science degree in Concrete Industry Management – recently announced the election of new officers and board members. Chairman – Mike Schneider, Vice President of Operations, Baker Concrete Construction, Inc.
Brian Gallagher, Director of Marketing, O’Neal, Inc.
Mike Campion, Senior Vice President, SIKA Corp.
Rex Cottle, Vice President, Economic Forecasting and Labor Relations, Trinity Industries, Inc.
Wally Johnson, Vice President of Marketing and Sales, U.S. Concrete, Inc.
Recognizing the need for people with enhanced technical, communication and management skills, the CIM program was developed in 1996. The individuals graduating from this program will have the skill set necessary to meet the growing demands of the progressively changing concrete industry of the 21stcentury. It is a business intensive program, providing solid management skills that can be used in any industry, but has been developed specifically for the concrete industry. The program gives students many advantages including entering the concrete workforce with exposure to the industry early in their careers, unlike others coming in with generic business degrees. The goal of the program is to produce broadly educated, articulate graduates grounded in basic business management, who are knowledgeable of concrete technology and techniques and are able to manage people and systems as well as promote products or services related to the concrete industry. It entails a broad range of courses, from English and history to science and mathematics. A series of required business courses such as finance, marketing, management and business law are also taken throughout the length of the program. The concrete-specific courses teach the fundamentals of concrete, properties and testing, concrete construction and more. All of these courses utilize practical case studies and an internship to make sure the student obtains real-world experience essential to starting a successful career. Additional opportunities for growth include on-campus socials and other organized events providing industry networking and professional development. Receiving tremendous support from the concrete industry, the CIM program was the first of its kind in United States– a four-year Bachelor of Science degree in Concrete Industry Management. The need for such a program was recognized in 1994 and was put into action by the concrete industry. The end-result was a partnership between the concrete industry and Middle Tennessee State University (MTSU) to develop the CIM program, implementing it with its first two students in 1996. Available at MTSU, California State University, Chico, the New Jersey Institute of Technology, and Texas State University, the program has been successful for both the industry and the graduates. To learn more about the program, visit www.concretedegree.com.